Amazon Kindle Fire HD 7 Inch: I purchased it Friday night on 2-8-2013. 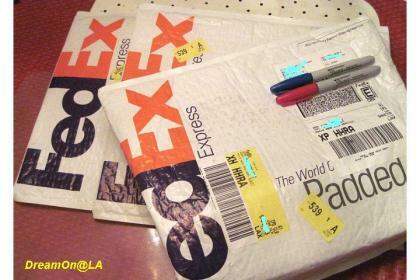 It was delivered to me around noon on Monday, 2-11-2013. 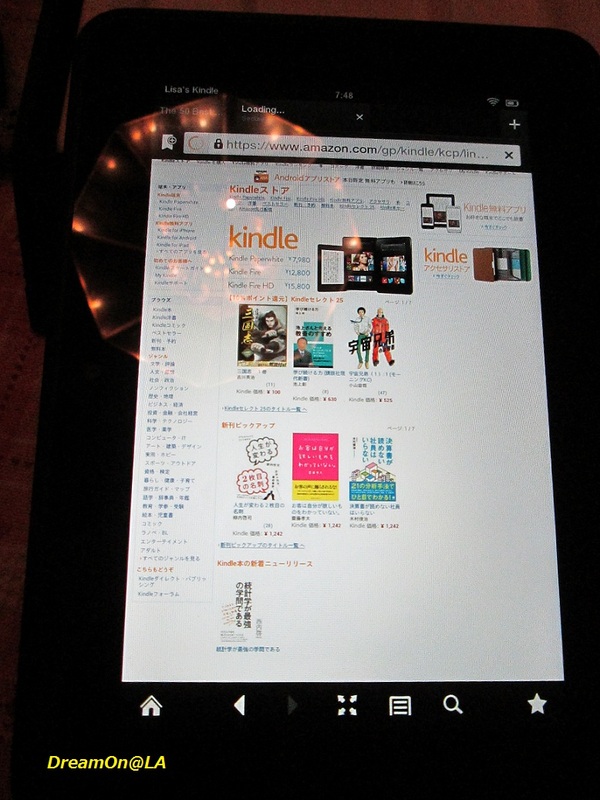 I thought I can buy digital books available on Amazon.com and Amazon Japan with one Kindle machine, but it's little bit complicated to do so. 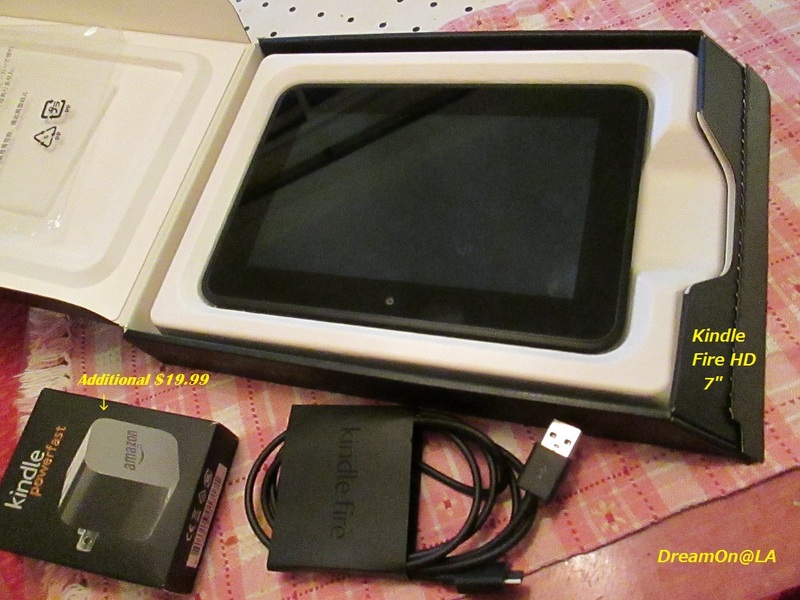 USB port came with Kindle Fire HD 7" machine. The Kindle PowerFast charger plug was sold separately at $19.99. 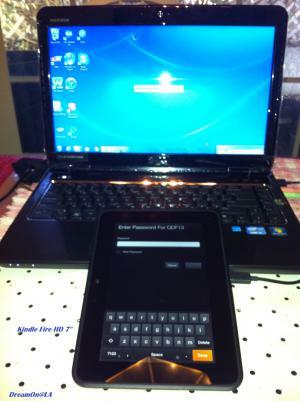 First I charged the Kindle Fire HD. I set up the Wi-Fi information on Kindle Fire HD, and I purchased digital books. 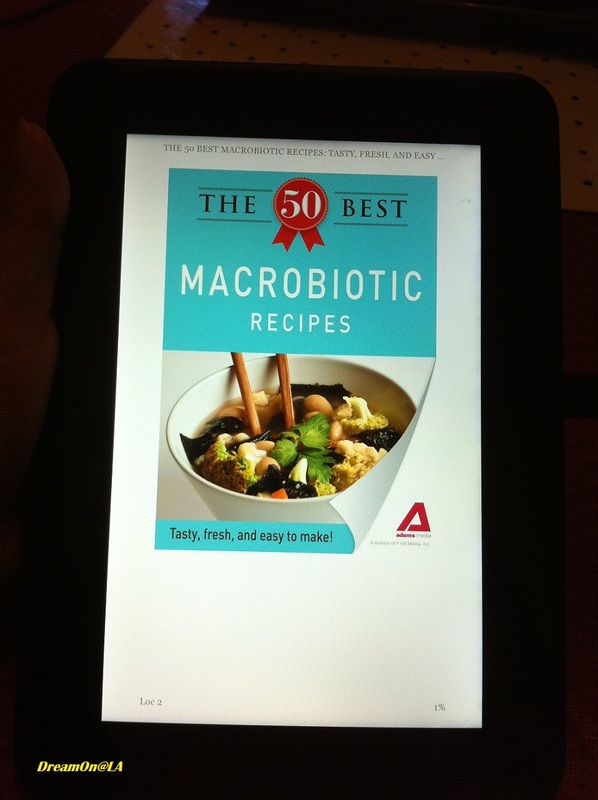 Several Macrobiotics Kindle books were sold at less than $3 each. 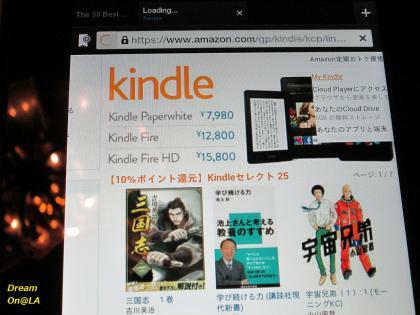 It seems you can change "the country of residence" to "Japan" and set up to buy Kindle books from Amazon co.jp (Japan) from Amazon.com (USA) and consolidate both accounts to buy Kindle books available in Japan. I tried doing all of these, but when I opened Kindle Fire HD "Shop" screen, it froze, trying to open too many Amazon.co.jp sites at once. 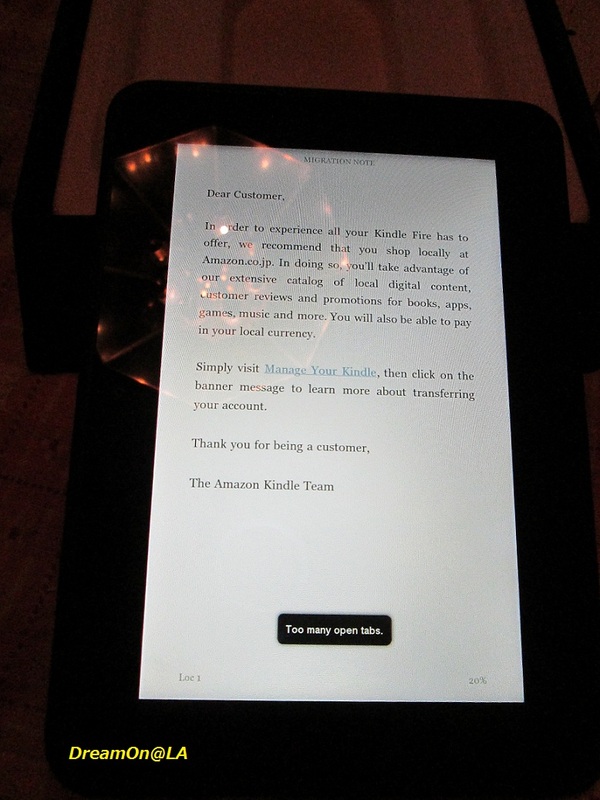 I could not go to "Account Set Up" or "My Kindle" site at all. There might be bugs. 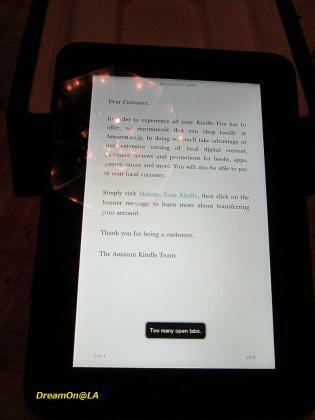 They need to fix Kindle Fire HD software. You can downlaod Kindle Application to iPhone and iPad to buy Japanese books in Kindle. 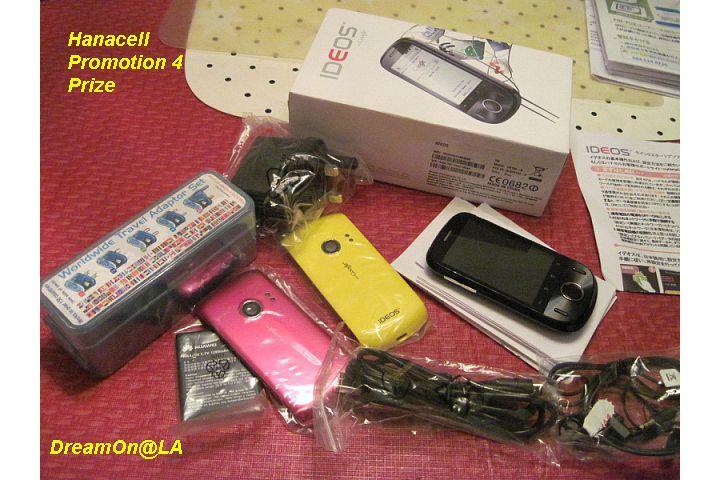 So, I will try doing so from my iPhone. I might get an iPad Mini after the resolution gets improved. 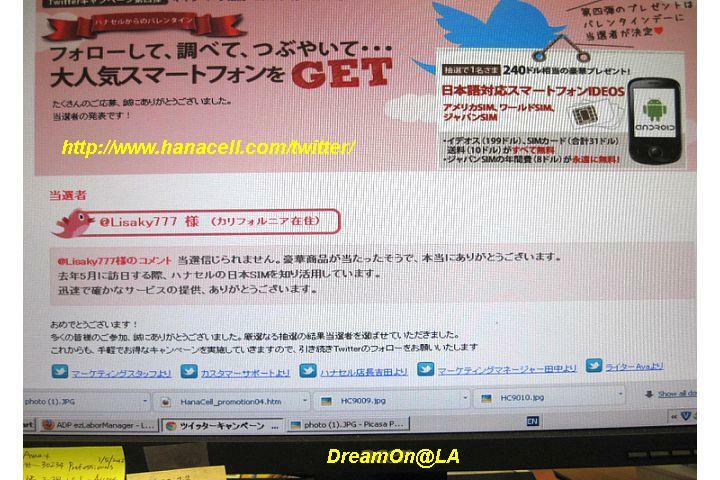 "Hanacell Phone Twitter Promotion" was held from Jan. 16 to Feb. 13, 2012, and 1 winner was tweeted on Feb. 14, 2012. That was ME! I did not notice it, and I received a secret comment on this blog two days later. 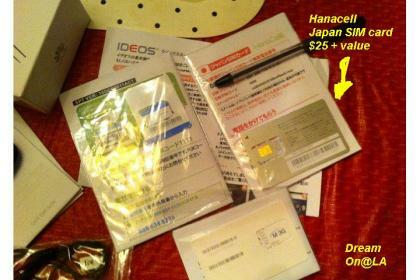 I received $240 worth of goods as a prize. You were supposed to follow "Hanacell" (https://twitter.com/#!/hanacell) and tweet about this promotion between Jan. 16 and Feb. 13, 2012. 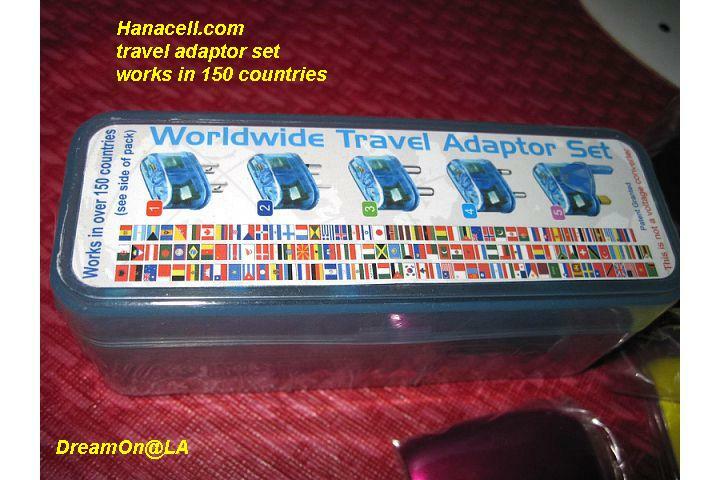 Hanacell provides a low cost $9.99 plan, provably the lowest cell phone service plan in USA. 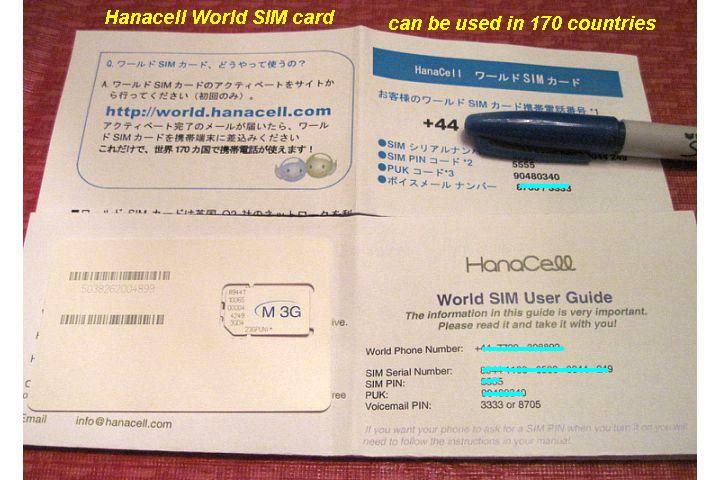 Their products include "US SIM card" that can be used in USA, "World SIM card" that can be used in 170 countries in the world, and "Japan SIM card" that you can use in Japan. 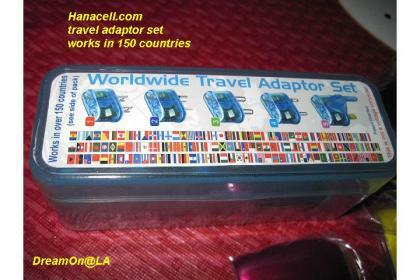 As the promotion prize, I received all of those 3 SIM cards, "World Travel Electric Socket Adapters", 5 kinds that can be used in 150 countries, and an unlocked IDEOS Smart phone. The total value was $240. Last May I got thier "Japan SIM Card" at $25. The annual fee ($8) is waived for 5 years for the first 10,000 customers. 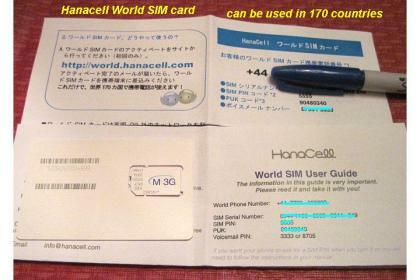 The "Japan SIM Card" I got with the promotion had a waiver of the annual fee permanently. They switched that permanent annual fee waiver to the older SIM card for me. 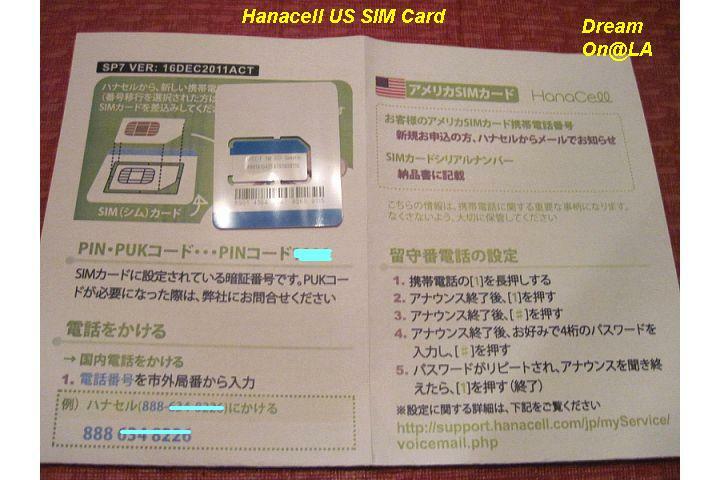 Their English homepage does not provide information about "Japan SIM card". Sorry. HanaCell cell phone plan is only $9.99/month and it includes $9.99 worth of FREE calls every month. Your monthly fee is FREE if you use up your inclusive call allowance! It's 25 cents per minute in USA. The unused allowance will be roll-over-ed to the following month. *Note:In USA, Receiving calls will be charged as well as out-going calls. It was the most gorgeous prize among the all 4 promotions. I'm honored to be the winner. Thanks very much! I got a new Desktop PC last Wednesday. 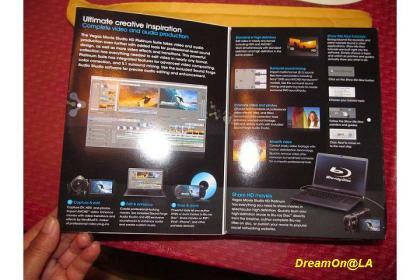 I started to use a Canon SX130 IS digital camera from July 4th, 2011. Its movie files are in MOV format. 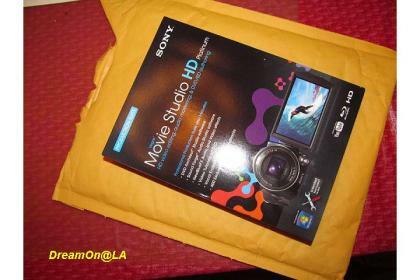 I got　Sony Vegas Movie HD Platinum 10 Suite a couple of weeks ago to edit the MOV formatted movies, but that software required Intel Core 5, 7, or better processor. So I got a PC tower with Intl Core 5 processor. 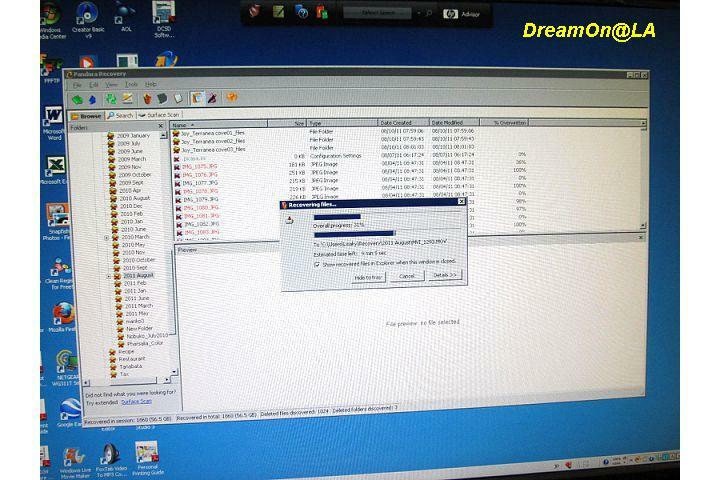 I was copying photo and video files from the old PC to a portable Hard Drive, and accidentally deleted them. Those were 4 years of data. 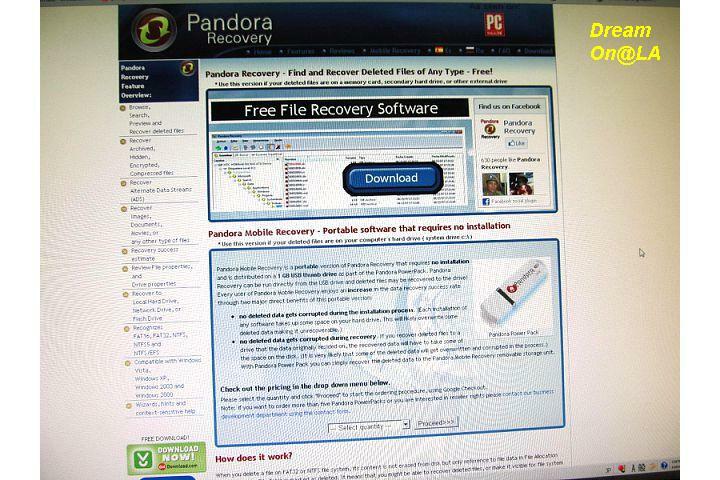 I searched the Internet, and found this Pandora Recovery software and downloaded it for free. 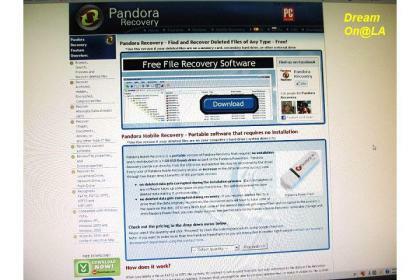 I recovered the files partially. It took me 7 hours to do this. 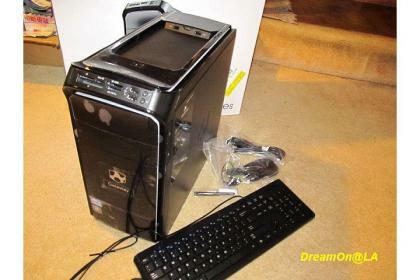 I installed MicroSoft Office, Skype, AOL software, iTune, Google Chrome, Mozilla Firefox, and Sony Movie Studio HD 10 Suite, photos and video files. 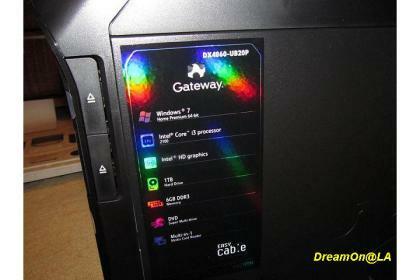 Around 8 am after staying up all night and all installation was done, I looked the model number carefully. I thought I ordered and picked up "Gateway DX4860-UB21P　Intel Core i5 Processor, 8G, 1TB", but it was "Gateway DX4860-UB20P　Intel Core i３ Processor, 6G, 1TB". 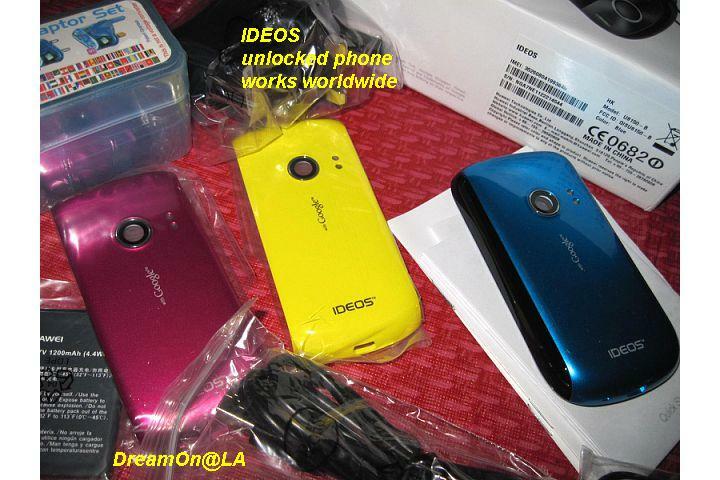 It's a $100 cheaper model. 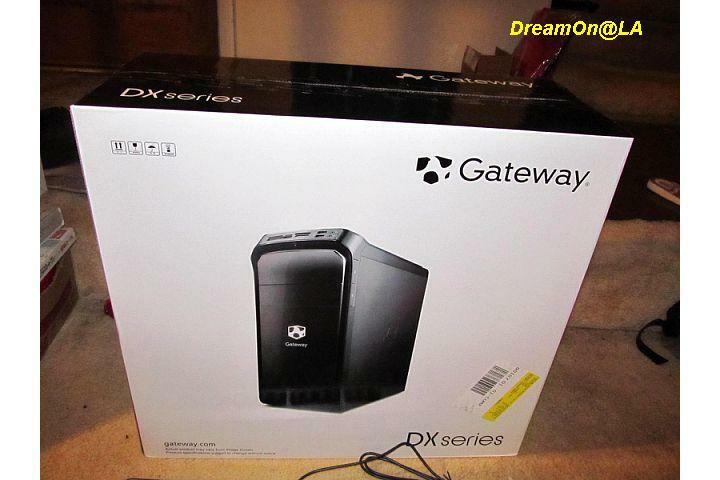 I paid for the higher model ($579.99 + tax). After work, I should go home and delete all the software and data I installed and put them back in the original box and take it back to BestBuy near by.